USB all-in-one card reader aren’t a kind of surprising gadget nowadays. So our duty is to find more cute USB card reader just like the following Popsicle. 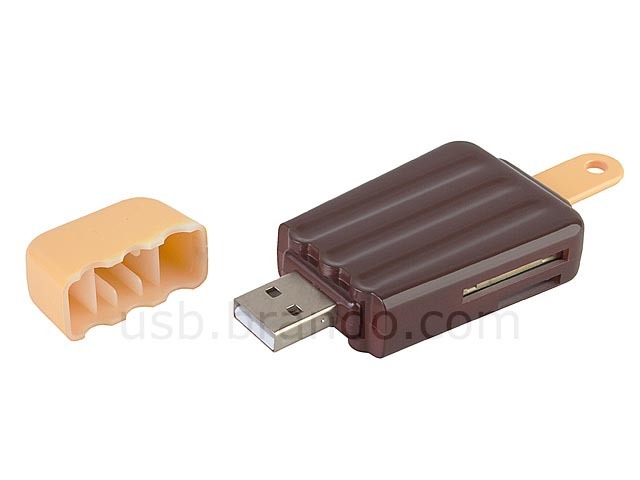 As we can see from the images, the USB card reader is shaped as a delicious popsicle that features vibrant colors. 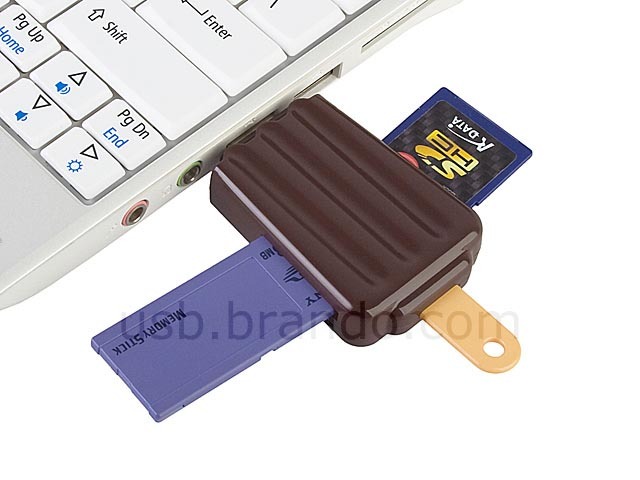 The whole popsicle card reader measures 84 x 35 x 13mm, weights 18g. 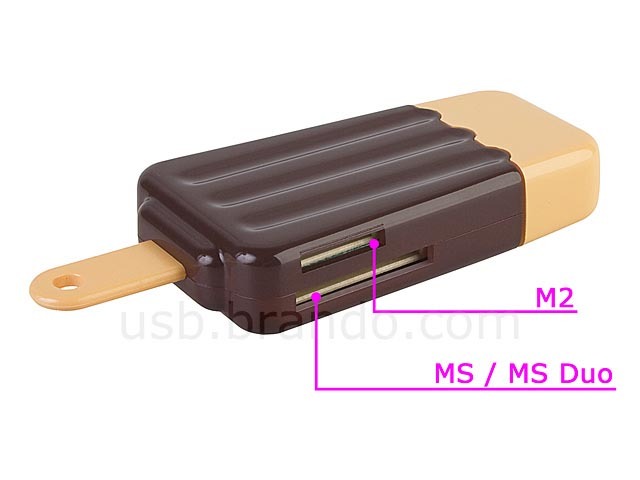 The upper part of the popsicle is a removable cap to protect the USB connector. 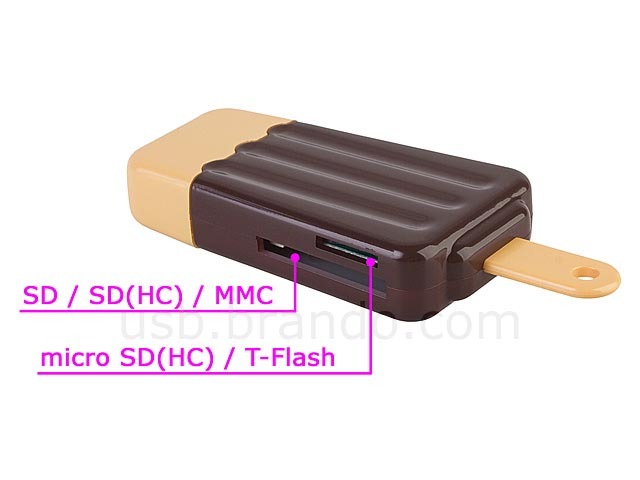 The four card slots are placed both sides of the popsicle for your various memory cards, including SD, SDHC, MMC, RS-MMC, M2, T-Flash, microSD(HC), MS and MS Duo. 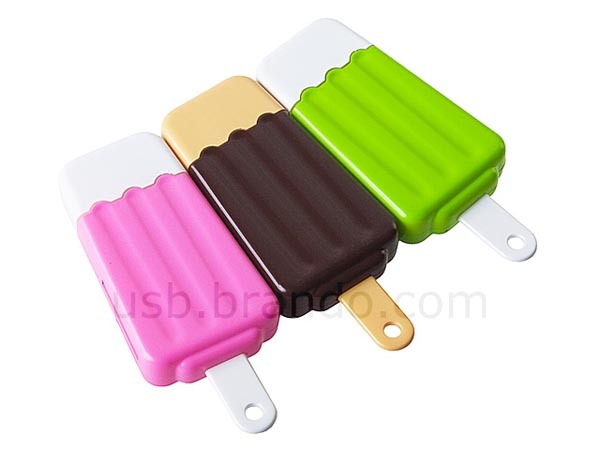 The cute popsicle all-in-one USB card reader is available in three colors including pink, green, and chocolate. Each one costs $10 USD. If you’re interested, jump to Brando for more details. Additionally, if you need more options, you may like to check the Elecom mini USB hub with card reader or the truck shaped USB hub with card reader.